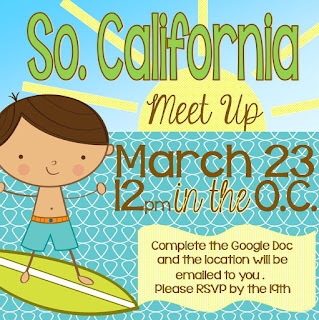 It's almost time to meet some fantastic bloggers from the Southern California area. When I stumbled upon the information for this event, I knew I had to be there! 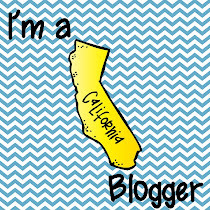 I have only been blogging for about 6 months, and I can't wait to have some face-to-face time with other So. Cal. bloggers! If you would like to join the festivities, head over to Teacher to the Core and sign up! 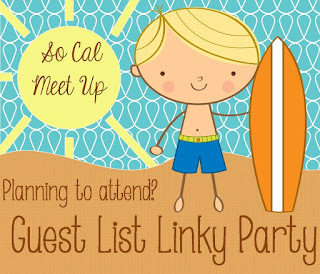 Then be sure to visit Second Grade Sparkle to link up that you will be attending! This will be a great way to kick off my Spring Break! Found you through my gal Katie! Looks like the meet-up was FABULOUS and I was there in spirit!